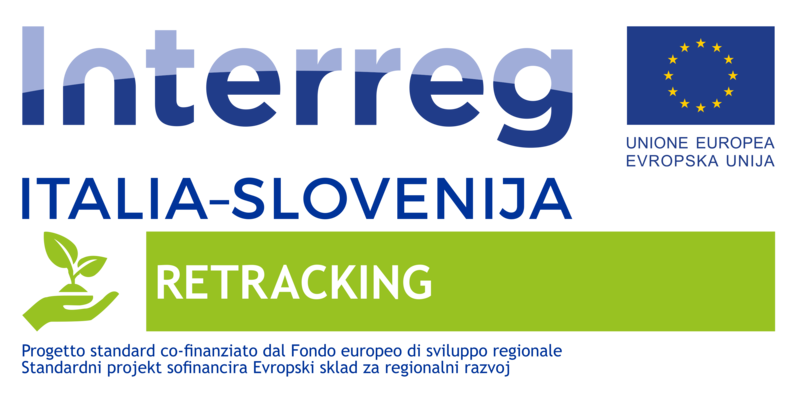 Tuesday, October 3, at the Andrea Galvani Technological Pole in Pordenone, the launch event of the standard project “RETRACKING – Towards the circular economy took place: traceability of Fibro Reinforced Composites (CFR)”, funded within the framework of the Interreg VA Italy-Slovenia 2014-2020 program. At the meeting, aimed at defining the organizational and logistical aspects of the project activities pending the signing of the Contract for the granting of the loan with the Managing Authority, the representatives of the 5 project partners were present. The importance of the project for the economy of the program area was underlined by the Director General of the Polo ing. Franco Scolari who highlighted the possible repercussions of a new circular economy business model, thematic present in the S3 strategies of the countries participating in the program and to which the EU is paying more and more attention with the document COM (2015) 614 “L ‘ missing link – EU action plan for the circular economy “, and to which the RETRACKING project aims to contribute, and last September the European Parliament published a study” Towards a circular economy – Waste management in the EU “, which examines the role of waste management in the context of the circular economy. In particular, the project makes it possible to pool the best experiences developed so far in the waste recycling program area: the Italian part gives the project a methodology for the transformation of glass fiber waste into “secondary raw material” , while from Slovenia comes a methodology for the collection and separation of waste that has been recognized of excellence at European level. Dr. Franco MIONI of Gees Recycling, a company of the Province of Pordenone, and Dr Marko Petelin of INFORDATA, an ICT company in the province of Trieste, described the activities related to the construction of the pilot plant for the recovery, treatment of CFR waste and their transformation into “secondary raw material” to be used for the manufacture of new products that are 100% recyclable and of the IT platform suitable for tracking, classification and identification of the new products generated by the recycling process. Subsequently, representatives of the other partners, Dr Alenka Mauko Pranjić of the Zavod za Gradbeništvo Slovenije of Ljubljana and Dr Antonija Bosic Cerar of the Department of Environmental Protection of GZS – Gospodarska zbornica Slovenije of Ljubljana, then described their role in the project . The meeting ended with the definition of the agenda for the launch event of the project to which the Managing Authority will be invited, the authorities of the program area, institutions / bodies and industries that will be directly involved in the activities of project. Furthermore, the participation of the Associated Project Partners, the Italian and Slovenian Ministries of the Environment and the Regional Agency for the Protection of the Environment of the Veneto Region will be particularly important.